The Ontario Trillium Drug Program (TDP) is a catastrophic drug coverage program available to all Ontario residents (with or without insurance) that helps to reduce out-of-pocket expenses for those who have high drug-costs. 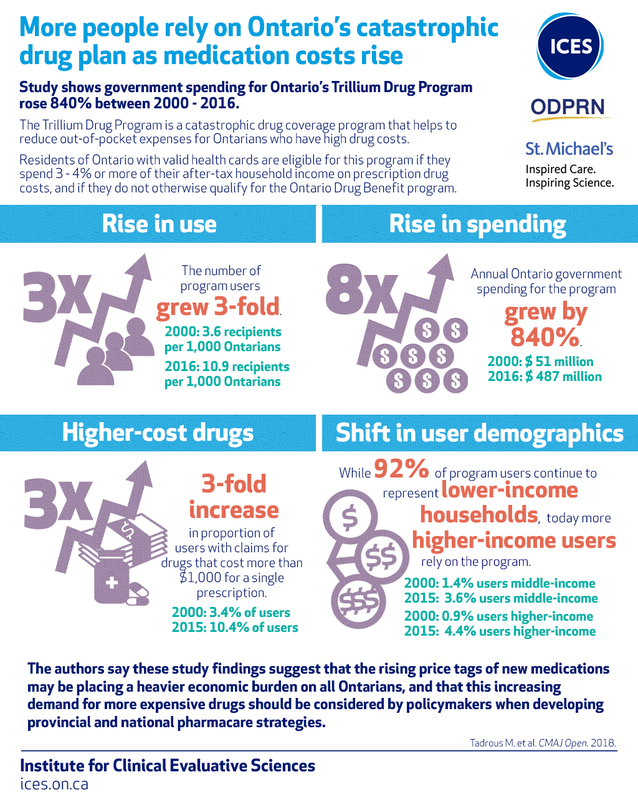 This study examined changing patterns of utilization, government spending and characteristics of people accessing the Ontario TDP to help better understand the burden of rising drug costs and use of catastrophic drug coverage in Ontario. Individuals over the age of 65 were excluded because they have universal access to public drug coverage in Ontario.